Our volunteers are committed to furthering that mission by supporting our staff, programs and events dedicated to providing humane treatment, improved quality of life and placement into forever homes for the animals in our care. 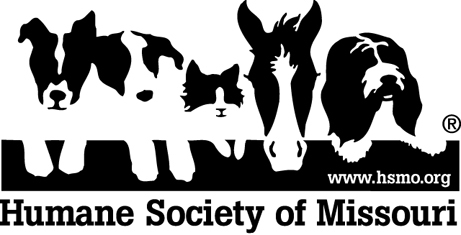 Is volunteering at the Humane Society of Missouri right for you? We hope so! We have a variety of opportunities based on your availability, interest and skills. Check out all the information below about our different programs to find your purrfect place to volunteer. How easy will it be to fit volunteering into my busy schedule? Volunteering will fit into just about any schedule. Volunteers working directly with our animals will be asked to start their volunteer service during specific hours, but once you have completed your training and served 15-20 hours you can come in as your schedule permits. Typically, the “beginner” hours are weekday mornings, weekday afternoons and weekend mornings. Times can vary. You will be able to dicuss your individual schedule during the training classes. Each opportunity has a set of trainings required. Every volunteer role includes Volunteer Orientation (30-45 minutes) as well as additional training based on the role. 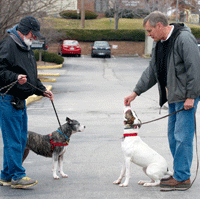 Why is there so much training for walking the dogs? Working with shelter animals is physically and emotionally challenging and much different than the interactions you may have with your personal pets. Additional training for volunteers who work directly with our animals is required to ensure the safety of our volunteers, animals, staff and any visitors. Are there any fees for volunteering? Volunteers will have a $20 application fee to cover costs of volunteer t-shirt, name badge and other materials. The application fee is non-refundable, regardless of your ability to continue volunteering for any reason. HSMO has two St. Louis area shelters (Maryland Heights and St. Louis City, near Forest Park) and Longmeadow Rescue Ranch in Union, Missouri. I'm a college student in town for the summer. Can I volunteer? We typically request a volunteer provide 1-2 hours per week for 6 months due to the fact that amount of training required, especially for animal handling opportunities. We encourage college students to seek opportunities outside the animal handling activities and to apply/register for training before the end of the spring semester. Do you offer internships for college students? Yes and No. The HSMO has limited options to host internships within the volunteer department. Internships would best be suited for students seeking college credit for experience in volunteer management/special events. If you are interested in discussing your specific needs, email us! If you have additional questions about any of our programs, please contact us via phone at 314.951.1577 or email us!